Enjoy living diamonds and rubies in this richly "bejeweled" arrangement. 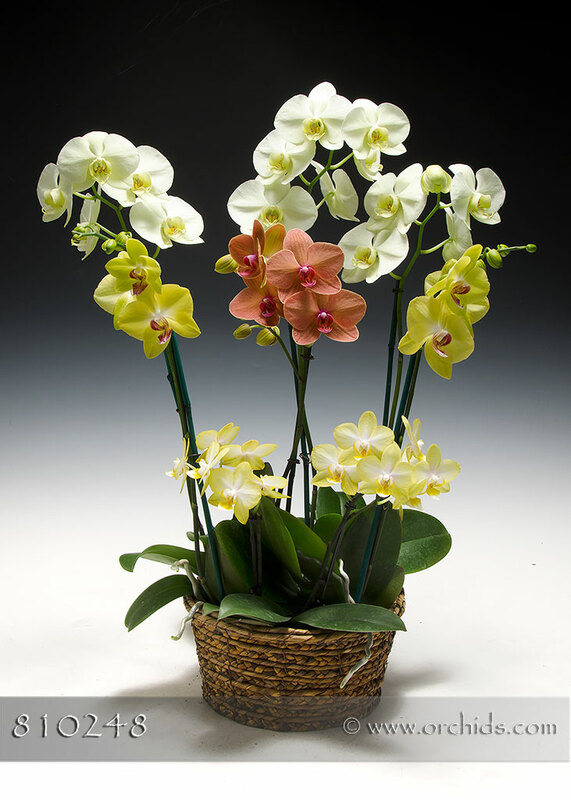 Our designers will hand-select our most sparkling Phalaenopsis orchids bearing multiple flower spikes of brilliant flowers in a range of hues. Standing around 22-24" tall, they will show themselves off to perfection in our modern woven cachepot. Our designers will then adorn this sparkling arrangement with a soft bed of jade Spanish moss.